ASX-listed apparel manufacturer, Pacific Brands, is looking to drive new product ideas across its underwear category then the wider business through a dedicated Innovation Hub. The Innovation Hub launched in September and was highlighted in the company’s half-year results to 31 December 2015 as a key investment in building growth initiatives. The ambition is to drive big ideas in core and adjacent categories, with the current focus on underwear brands including Bonds, Berlei, Jockey and Explorer. Manned by a dedicated team, the hub sits within the underwear division and reports directly to its creative director. It comprises creative and R&D teams, as well as technical innovation in areas such as fabrics, a key area of focus for the group. “Our brands have been built on big ideas including the Hipster, Guy Front Trunk, Zippy Wondersuit, Berlei Electrify and Explorer socks,” a company spokesperson told CMO. The Innovation Hub is designed to drive future growth firstly through generating new ideas, category expansions, reinvention and evolution of icons, overarching brand concepts, trends and innovation direction, the spokesperson said. It will also help with ideas execution, and prompt more experimentation, prototyping, testing, costing and work with global partners. “It also enables the separate in-season design teams to focus on driving performance of basic and seasonal programs with brand teams,” the spokesperson said. Pacific Brands has expanded its team to accommodate the new R&D lab, but also reallocated skills from other parts of the business. “We have some fantastic talent across our broader design team and so have been able to redeploy a team of them into the innovation hub,” the spokesperson said. A number of brands have been investing in dedicated innovation labs in the hopes of lifting ideas generation and product innovation while creating more of an entrepreneurial culture in their organisations. 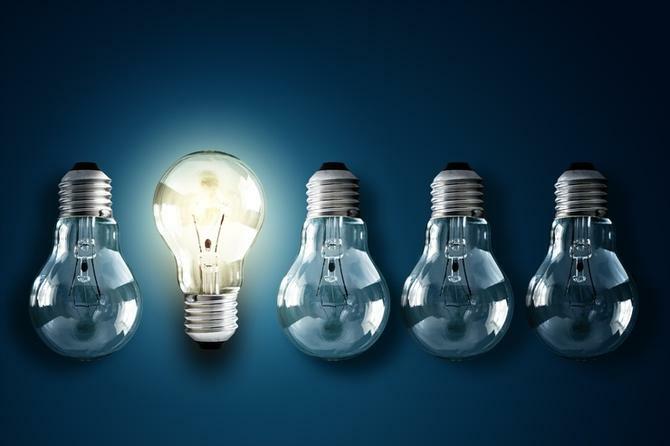 Several Australian banks, including Westpac, NAB and the Commonwealth Bank, for example, have launched innovation labs internally, and agencies, such as Imagination, have also kicked off similar teams to help foster technology-fuelled ideas generation for clients. Pacific Brands reported strong growth in its first-half 2016 financial year, with sales up 8.6 per cent to $425.3 million, and reported net profits of $24.3m – a major jump from the $108.7m loss reported in the first half of 2015. The results have seen the group provide its first dividend in two years. CEO, David Bortolussi, said the company had made a number of strategic moves to simplify its business that were now paying off. In the last half, these have included restructuring the Australian and UK Sheridan businesses, a move CMO understands included the departure of general manager of marketing, Sofia Lloyd-Jones, last December. “At our full-year results and AGM, I said that F15 marked a turning point in the sales and earnings trajectory of Pacific Brands and I am pleased that our first-half 2016 results have demonstrated it,” Bortolussi said in a statement. “Sales and earnings were up in every operating group. This combined with our strong cash flow and increased net cash position, have enabled us to reinstate dividends with a payment ratio of 60 per cent. SMG Media Futures: Customer experience is the opportunity of 2016, but can marketers own it?